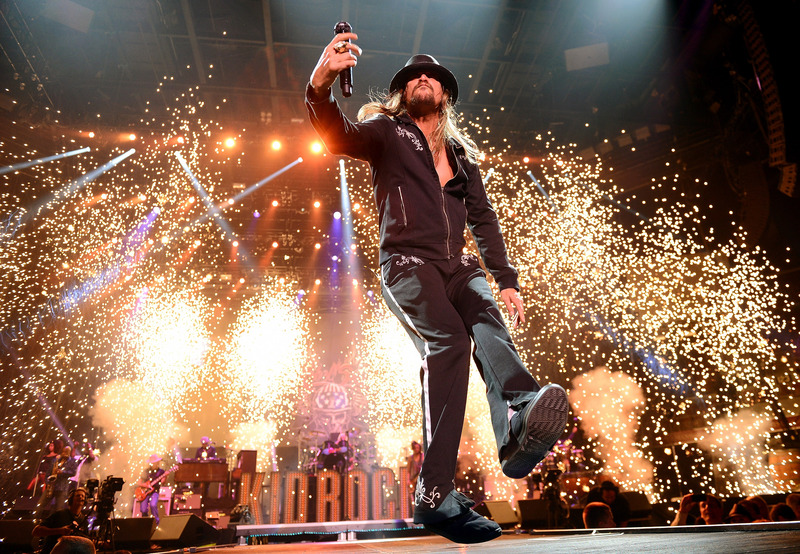 Kid Rock will be joining rapper Kanye West and NFL legend Jim Brown at the White House for lunch Thursday with President Donald Trump. Reporters caught Kid Rock walking into the White House and one shouted a contentious policy question. One yelled “Should Trump fire Jeff Sessions?” There has long been speculation the Trump will fire his attorney general after multiple public criticisms of the job Sessions is doing. Question outside West Wing: Kid Rock, should Trump fire Jeff Sessions? Earlier in the day, Trump called Kanye West, who is also a Trump supporter, a “genius” on Fox & Friends. Trump went on to say Kanye’s endorsement helped his poll numbers with black Americans.